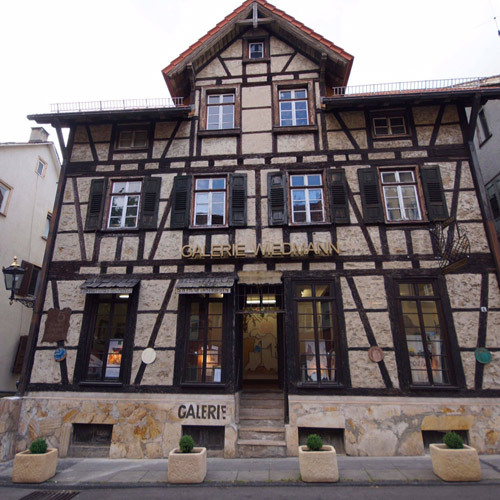 Willy Wiedmann restored a vintage 16th century farmhouse into a world renowned art gallery known as “Galerie am Jakobsbrunnen“. The gallery soon became a pioneer in the global art scene. Several famous artists exhibited their work here including Dali, Picasso, Miro, Goya, etc. In 1984 Willy Wiedmann began painting his epic piece to be ultimately known as The Wiedmann Bible in the gallery’s attic. After decades Willy Wiedmann eventually had to close the “Galerie am Jakobsbrunnen“ due to his age. Stuttgart lost a cultural asset at that time. In cooperation with the “Initiative Kulturnetz Bad Cannstatt” and Dorothea Schwertzel-Thoma his children were able to reopen this unique art location as a meeting place for artists and art lovers. Prior to its closure the gallery was exhibition venue for almost 250 artists. After its reopening in 2015 many more will follow. 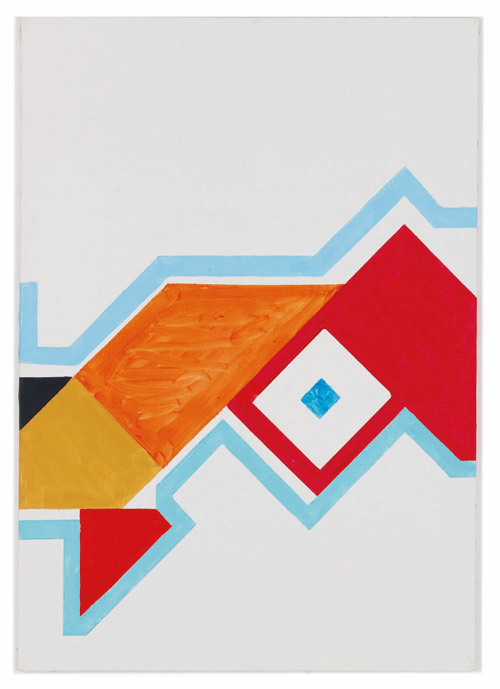 We will show works by Willy Wiedmann as well as other national and international artists on a regular basis. You want to stay up to date? Sign-up for our newsletter! Willy Wiedmann created his Polycon Painting Style in the 60’s. The term “polycon” is derived from the greek words polys „multiple“ and ikon “picture” or “board”. The Polycon painting as defined by Wiedmann is a multi picture and multicolor painting. Typical for Polycon paintings is the composition of geometric forms which overlap, intertwine or complement each other. The different constructs create pictures that create pictures themselves, and so forth. The principle could be performed ad infinitum. Wiedmann worked with 45 and 90 degree angles. He also implemented in his works his musical background by placing the forms in a changing rhythm. The Polycon Symphonies are a prefect example for his arrangement of colors and forms in correlation with eternity.